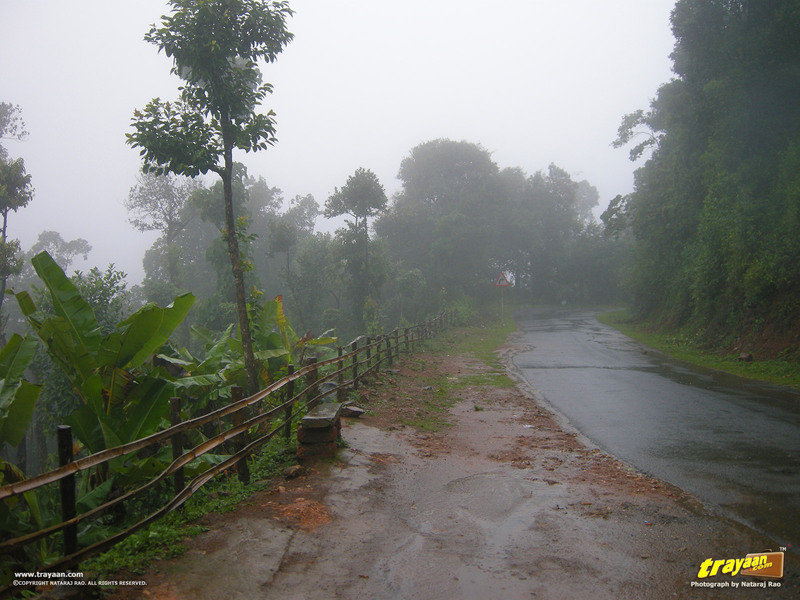 The wetter days in India begin when the monsoon rains hit Kerala. 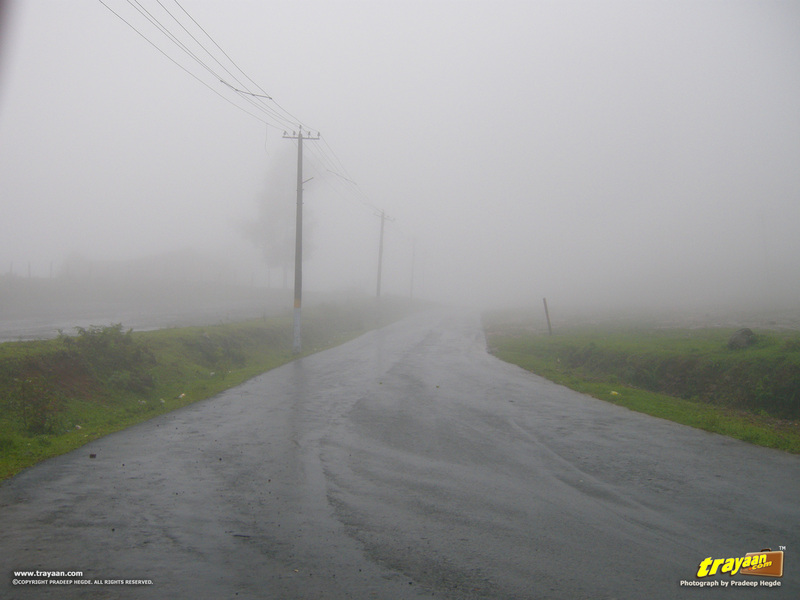 For most parts of India which observe tropical weather, summer and monsoon are typically the off-seasons. Here are a few tips on rainy day travelling and some weather sites to help you make the best out of monsoon travels. For most places in India, the on-season is during the wintertime, typically late September or early October to February end, before the summer heat starts baking from about March. The monsoons begin during the summer, at about the end of May or the beginning of June. Many don’t like wandering off in this rainy weather, and this time of monsoons is considered off season for good reason. With the days being dark and gloomy – also not that good for photography, difficulty in making it to many destinations due to bad weather, especially the mountainous ones with bad roads and landslides, etc. 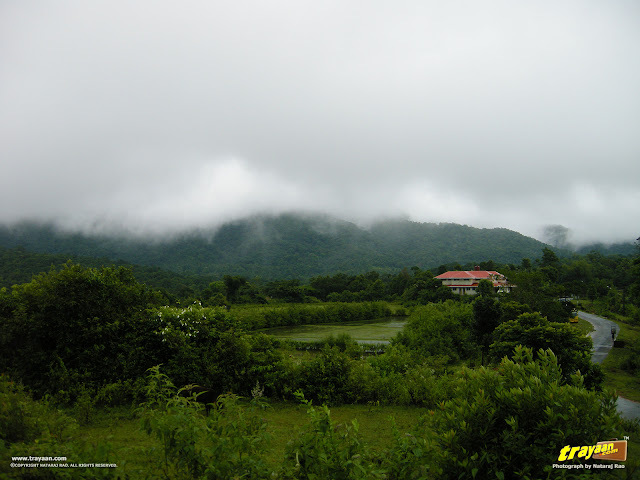 But I believe there are quite some of us who also love travelling through the monsoons, for the lush greenery, the flowing streams and rivulets, the fantastic waterfalls, and the fresh ambience of rainfall etc. We have been to several monsoon escapades like to Coorg (Kodagu district), Wayanad and Chikkamagaluru, but with keeping an eye on the weather. Here are some tips to ensure better and safer experience for travelling during rainy days and below that, some external sites to help you keep an eye on the weather and forecasts for the destination you are heading to. Of course, there is no such thing as a perfect prediction, and they don’t turn up right each time, but they do help us get ready and make proper plans and preparations for the trip to an extent. A rainy day at Coorg (Kodagu) during our trip six years ago, just on the onset of monsoon. A few precautions should be enough to ensure a good trip during the rains. 1. Don't speed and stay safe. The roads get very slippery in rain, and it is best not to speed up and risk skidding off the road. Roads can be even more slippery and dangerous from oil slicks leaked out from vehicles. 2. Have your vehicle well serviced beforehand and be ready for the weather. A lot of places, especially in the mountainous or ghat section routes, mobile phone signals will be weak to nil. So if there is a breakdown in an isolated place, getting help won’t be easy. 3. Have your vehicle's tyres checked beforehand including the stepney (spare wheel) for better road grip. If your tyres look bald or worn out, it is time to replace them! 4. Have your vehicle's windshield wipers and windshield cleaning liquid checked. These checks should be typically done during a service when you mention rainy travel. 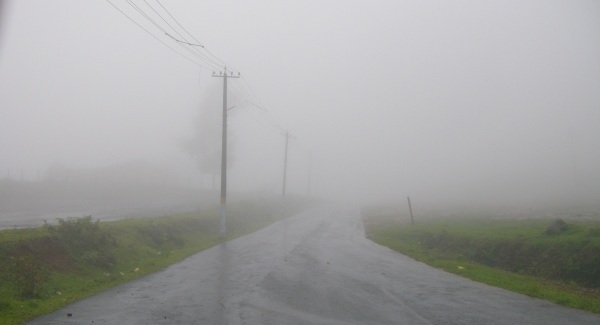 Other things to check are your fog lamps, headlights and tail lights, as things can be pretty blurred and foggy on a rainy day, especially in mountainous routes. 5. Keep an eye on the weather and related news for the place you travel. Get to know about the routes and places prone to landslides and inaccessibility during monsoons, and better stay off those. Some places and roads can get inaccessible during heavy rains due to causes like floods, landslides, fallen trees or even roads in very bad conditions. In worse cases, landslides and floods can cause more loss and damage and leave you stranded. You can find 7 sites to keep track of weather and forecasts, below. 6. You can use shampoo or soap powder on the glasses and wind shields so that water flows down easily – helpful at nights. You can use wax polish on the car body, as dirt and water easily slide off from your car’s painted body while cleaning. 7. And of course, don’t forget a good mosquito repellent and pack little bit extra clothing in case things get wet or don’t dry up after wash! Also, a pocket umbrella will come handy. Include rainwear and rain boots if you intend on trekking or walking a lot. For more tips on travelling light by taking the bare essentials during monsoon and other seasons see our post: 5 Travel essentials to take while going on a tour. Keeping track of the weather nowadays is much easier than before, with plenty of sites and mobile apps at your disposal. Even entering something like “weather at Goa” on a search engine like Google, for example, will give you immediate results with forecasts for that place. But do check the weather forecasts beforehand, and check the news for the accessibility of the place you want to go, as many mountainous and forest areas may be inaccessible during the rainy season, and also, there may not be proper mobile phone coverage in such areas. Here are a few sites you can stay updated on weather and forecasts for any season, monsoon or not: If you know some good weather site or app you don’t see below, let us know! IMD – weather on web: It is the Official website of India Meteorological Department (a.k.a the Met Department, an agency of the Ministry of Earth Sciences of the Government of India). It gives quite good forecasts and predictions with satellite imagery. There are several sections for Cyclone, Tourism forecast, mountain weather etc. There are even daily weather reports and forecasts, but are right now unfortunately available only in PDF format, and the site is not mobile friendly at the time. You can follow them on @Indiametdept on Twitter, where they tweet weather warnings for India. IMD - All India Weather Warning Bulletin - This bulletin by the India Meteorological Department is updated every day, and typically consists of predicted weather warnings for up to five days. YR - www.yr.no by Norwegian Meteorological Institute and Norwegian Broadcasting Corporation. The site will initially turn up in Norwegian, but there is a small option on the top right hand corner to choose English. This gives quite good forecasts for a lot of places in India as well as the world. Oh, and yes, this site is optimised for mobile phones! Or simply Google for the weather and forecasts for a location. For example, type "Pune Weather" in the search bar for the weather in Pune and the forecasts. And one more thing: Typically, there will be great deals and offers on Hotels and accommodations during this season, with the rates lower than the on season or peak season. Did we miss anything? Do you have suggestions or tips of your own? Add your thoughts and comments below!